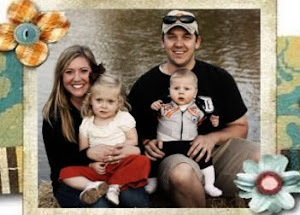 The Arbuckle Family Blog: Why is it so hard to leave our baby? Why is it so hard to leave our baby? Justin and I decided to take a little trip to Houston this week. I have heard such great things about this city... especially how great the shopping is. We are so happy that everything worked out and we were able to leave Kate with my family. It was so hard leaving her in the airport. I fought back tears as I said good-bye to her in the airport... but now I can't fight the tears. I miss her so much. Before we had Kate, I had no idea what my friends were talking about when they said that they couldn't leave their kids... now I know. Well, I know she is in good hands and we have had a really good time. Justin is looking forward to getting together with one of his really good friends today. Please lift us up in your prayers. 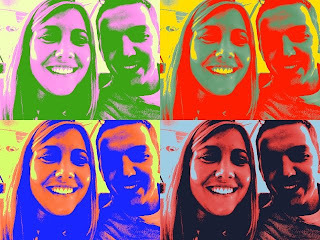 Here is a fun picture of us playing around with Photobooth on the plane. A little Andy Warhol throw back.